In an era where worldwide communication is as simple as the click of a mouse, businesses in the UK are evaluating the advantages of shifting away from traditional workplaces. This shift is seeing annual increases, with an estimated 1.5 million people working from home in 2016. In the last 20 years Oundle has seen an increase of residents who commute to work, but this may now be changing. The advantages for home workers are obvious, such as the elimination of commuting costs, and the opportunity to work in a more comfortable and familiar environment which allows for more flexibility and the ability to spend more time with the family. However, there are potential drawbacks to running a business where workers are based at home and not in a managed office environment. Studies have shown that over 50% of communication influence is visual, meaning presenting ideas while talking on the phone or through an email is much more difficult than a face-to-face discussion. The argument could be made that productivity decreases outside of an environment specifically designed for work. Pete Barford is the owner of a hospitality events planning company that works on international events such as Vanity Fair’s Oscar night party in Los Angeles and conferences and charity fundraisers. He co-ordinates his business on a day-to-day basis from his home in Northamptonshire. He says that a “nice working environment” is a big benefit of working from home, as well as flexibility with working hours. However, being on site is essential for his projects, which means international travel to meet his clients. 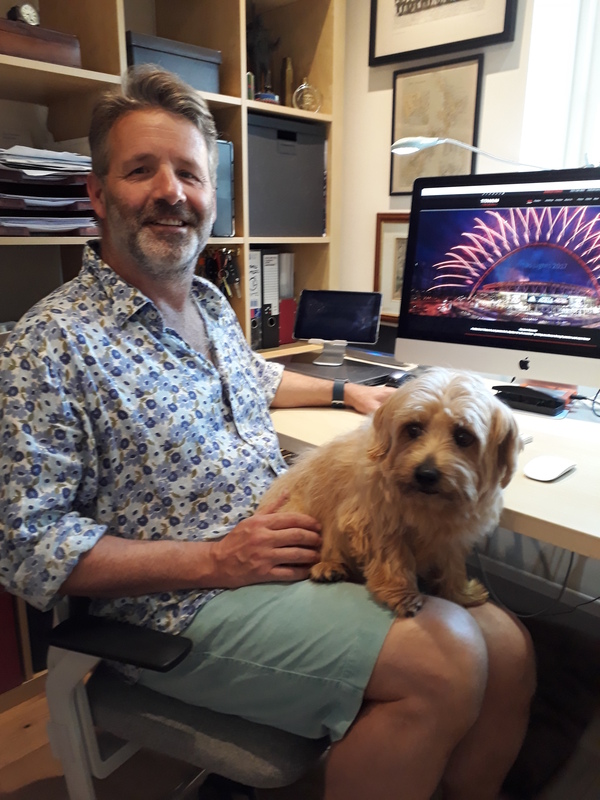 Simon Page works from home in Oundle for Titanium Fireworks, which organises both private celebrations and national displays such as the London New Year and Edinburgh Hogmanay. He said that reducing his daily commute from 30 minutes by road to 8 minutes from kitchen kettle to home office was efficient and satisfying. Both Pete Barford and Simon Page said that communication is the biggest difficulty, discussions and projects are not easy to co-ordinate without a central office. Mr Page said that “constructive conflict” with colleagues was important. “The telephone is a poor replacement for face to face communication, email is a terrible medium for communication. Regular face-to-face meetings are therefore a given if you are part of a team, but work at home,” said Mr Page. He spends two days a week meeting with colleagues and clients at the company’s production facilities. However, it is possible that these problems can be overcome by further developments in technology, with high speed broadband and platforms such as Skype and FaceTime making quality face-to-face interaction possible. This change in work culture has really only just begun, and it is likely that it will be made more convenient in the future. Smallbusiness.co.uk predicts that by 2020, 50% of the UK’s workforce will be working from home. We truly are witnessing the beginnings of a shift that could affect perceptions of work for the next generation, possibly changing Oundle from a town from which people need to commute to work, to one where people can stay at home to work.